Use your Visa card and receive a $10 discount on all purchases of $50 or more when you shop at Van Heusen Company stores. Print out the whole page to use in store, enter code to redeem online. Plus you get a birthday coupon during your birthday month. Friends & Family event! Print coupon and receive an additional 25% discount on your entire purchase in-store, including sale items. Van Heusen is an American apparel company, and the world's largest shirt company. 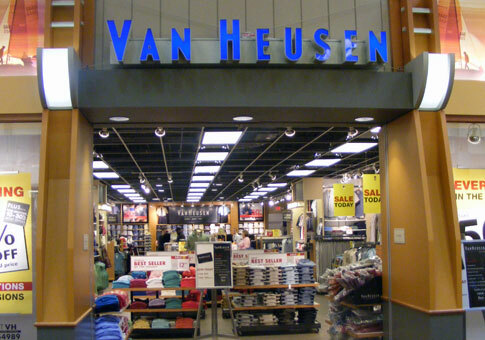 Van heusen offers brands such as Tommy Hilfiger, Calvin Klein, Van Heusen, Izod, Arrow, G. H. Bass and licenses brands such as Geoffrey Beene, BCBG Max Azria, Chaps, Sean John, Kenneth Cole New York, JOE Joseph Abboud and MICHAEL Michael Kors.